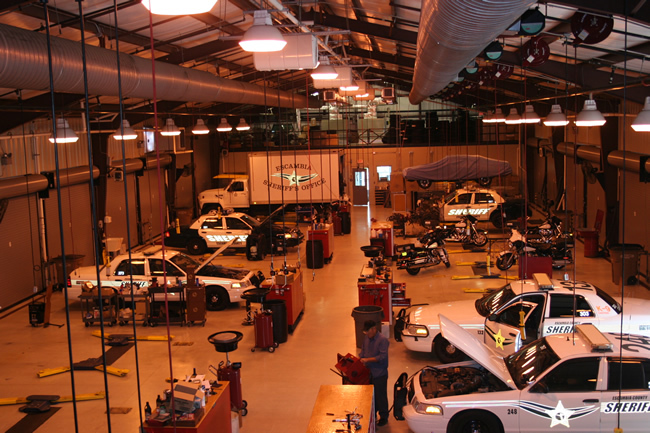 The Fleet Services Unit is responsible for the repair and maintenance of approximately 760 vehicles and equipment. Fleet Services provides services as simple as performing routine maintenance to something as complex as replacing a motor in a vehicle. The Sheriff’s Office is currently a warranty facility for both Ford and General Motors, meaning if something happens to a vehicle that would ordinarily have to go to the dealer to fix, fleet services can fix the vehicle in-house and get reimbursed from Ford and General Motors for the parts and labor. This enables the sheriff’s office to get vehicles back in service faster. Currently, all vehicles are equipped on-site with all of the necessary tools for a law enforcement vehicle including light bars, video cameras, mobile radios, and gun racks. Fleet Services also owns a wrecker, which eliminated the need to sub-contract towing services. 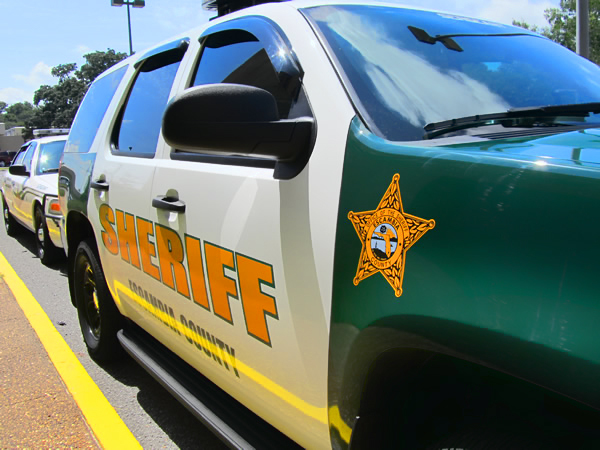 An in-house paint and body shop allows us to repair sheriff’s office vehicles, thus saving the citizens of Escambia County thousands of dollars a year.